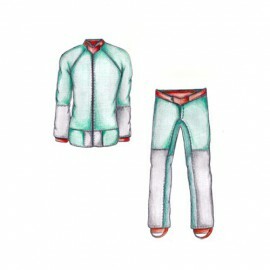 Ouragan Jumpsuits There are 14 products. The Ouragan tandem skydiving jumpsuit is designed for instructors assisting jumpers in tandems. It is made to be more durable for the occasional rough landings. $495.00	Build time is typically 3-5 weeks. Contact us for currently delivery times. Build time is typically 3-5 weeks. Contact us for currently delivery times. 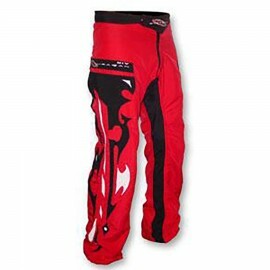 Freefly and Swoop Pants from Ouragan Suits. Designed for both men and women in a variety of lengths to suit your skydiving needs. $185.00	Build time is typically 3-5 weeks. Contact us for currently delivery times. 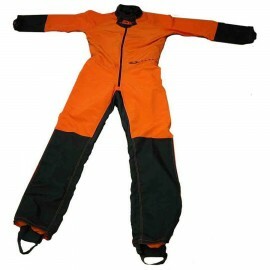 Ouragan two piece skydiving jumpsuits offer all of the style and comfort brough to you by Ouragan suits in a versatile skydiving jacket and pants combination. $485.00	Build time is typically 3-5 weeks. Contact us for currently delivery times. 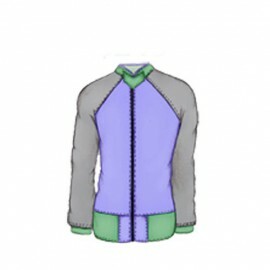 Ouragan Jackets are designed meet all categories of flyers from the beginner to the highly trained flyer. $235.00	Build time is typically 3-5 weeks. Contact us for currently delivery times. Ouragan 1-Piece Camera Suits. 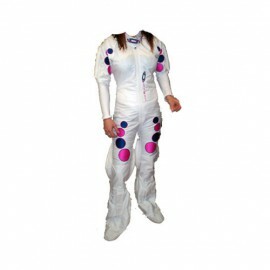 Treat yourself to the best in skydiving camera suits from Ouragan Suits. $475.00	Build time is typically 3-5 weeks. Contact us for currently delivery times. 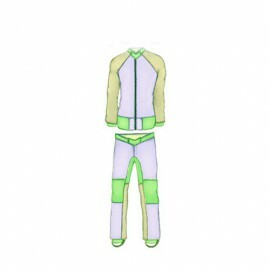 The Ouragan Sky Suit is specifically designed for freeflying. 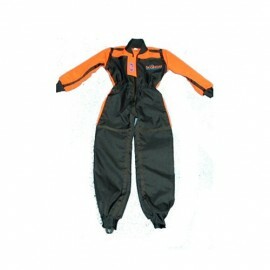 Ouragan Suits are designed to fit the needs of your choice of skydiving discipline. Long, short and high lift models available. $425.00	Build time is typically 3-5 weeks. Contact us for currently delivery times. 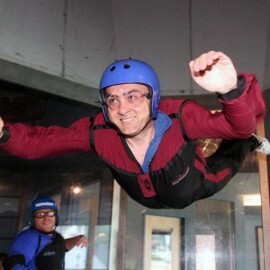 The Ouragan Sky/Tunnel Suit is designed for freeflying in the sky and the wind tunnel. This suit is flexibile and strong enough to withstand long hours in the tunnel. $450.00	Build time is typically 3-5 weeks. Contact us for currently delivery times. Ouragan Tunnel Instructor Suit is designed specifically for wind tunnel instructors spending long hours in the windy tube. $500.00	Build time is typically 3-5 weeks. Contact us for currently delivery times. The Ouragan RW Suit is a skydiving suit specifically designed for belly flying. Ouragan Tunnel Student suits are a Wind Tunnel Instructors dream come true! $295.00	Build time is typically 3-5 weeks. Contact us for currently delivery times. 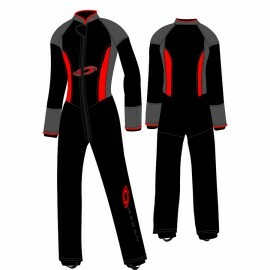 The Ouragan Flex is a Freefly and Tunnel Suit built for maximum comfort and maximum performance--A perfectly tight fit! $595.00	Build time is typically 3-5 weeks. Contact us for currently delivery times. 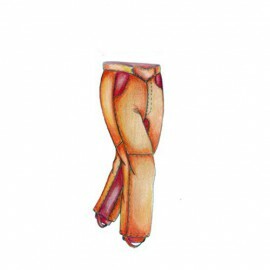 Pick a size and color and Ouragan will send you a suit! If you do not know what size to choose, take your measurements (see below) and Ouragan will determine the best size for you. 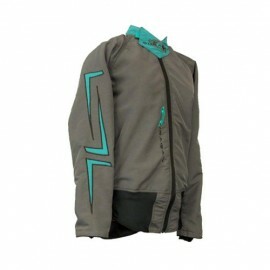 $275.00	Contact us for currently delivery times. Contact us for currently delivery times.